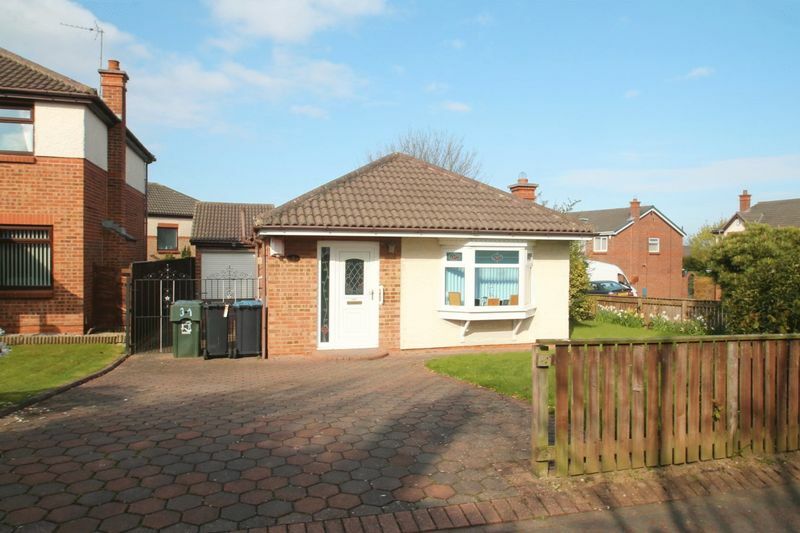 **NO CHAIN** This well presented Two bedroom detached bungalow is located in this sought after area of Coulby Newham and nicely situated on a well maintained corner plot. 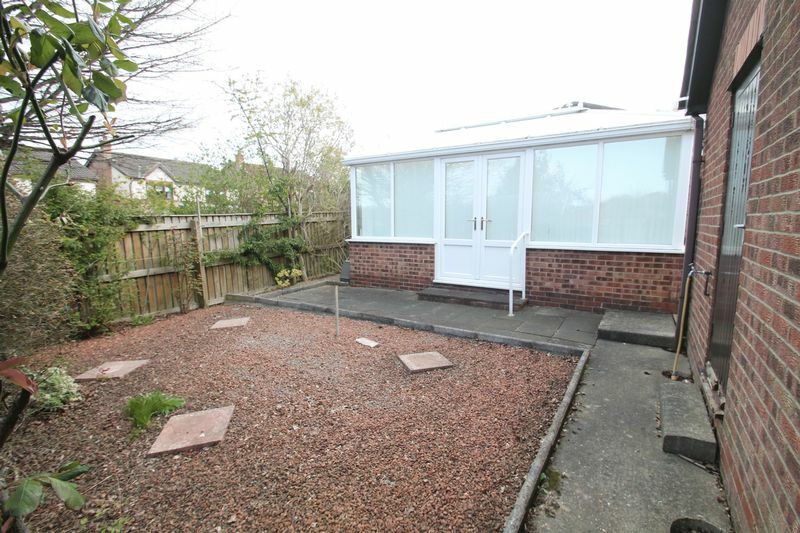 Well cared for and Improved with a conservatory overlooking the rear garden, wet room style shower room, GCH with Combination boiler, Upvc double glazing and a water meter. 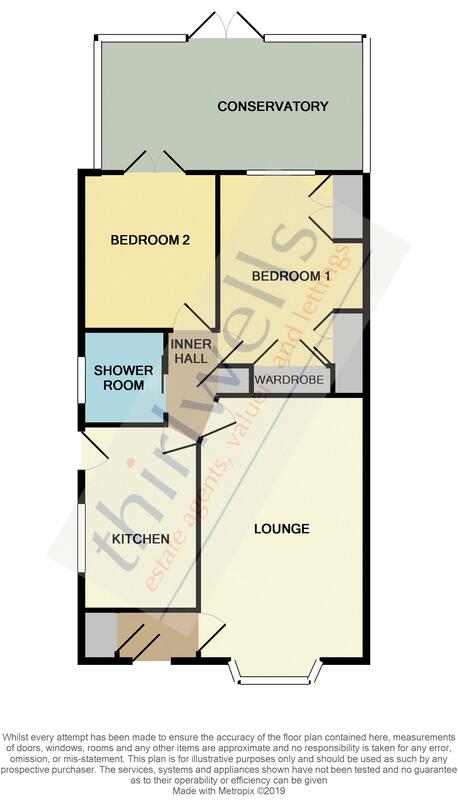 Available with the advantage of no onward chain with living space comprising: Entrance hall, Lounge with Gas fire, Kitchen, two bedrooms, one with fitted wardrobes and the second with Double doors leading into the conservatory, Shower room. 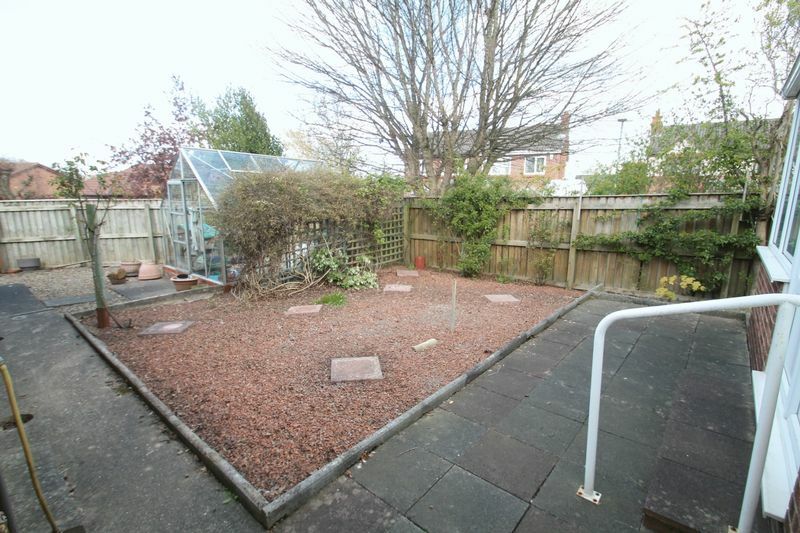 There are mature gardens with drive leading to a detached garage with remote control door. 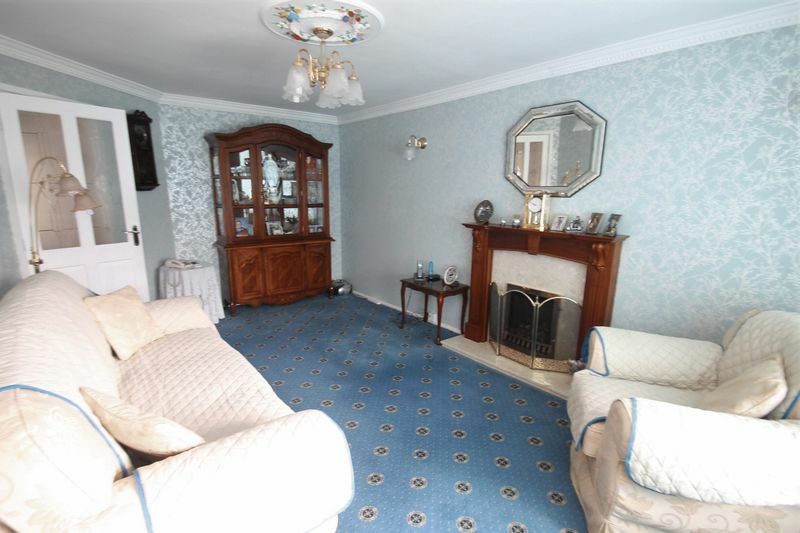 Viewing comes highly recommended to fully appreciate this super bungalow. UPVC entrance door and side panel, built in storage cupboard, radiator. Living flame gas fire with marble effect back panel and hearth in dark wood surround, radiator, coved ceiling, wall lights, window to front aspect. 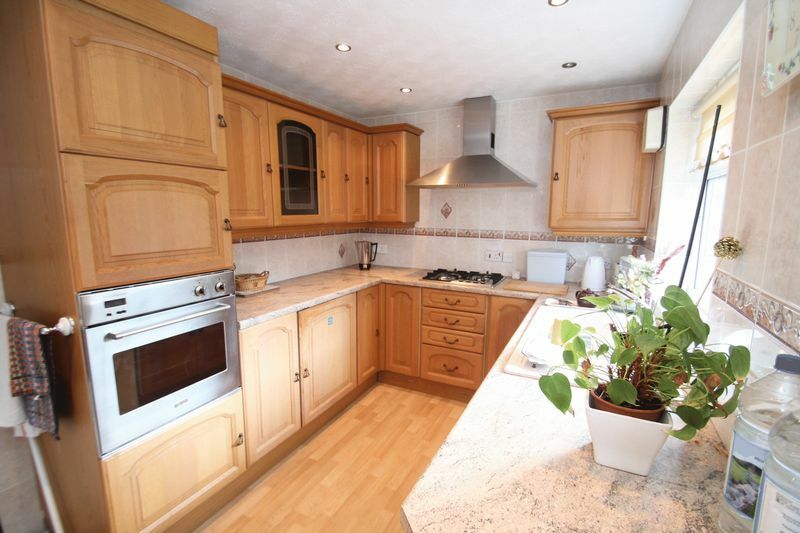 Range of wall & base units with marble effect work tops, inset 1 1/2 bowl sink unit with mixer tap over, inset gas hob with extractor hood over, separate electric oven, integrated fridge, plumbing for auto washer, tiled walls, inset ceiling lights, window & door to side drive. Cupboard housing combi boiler, access to roof void. 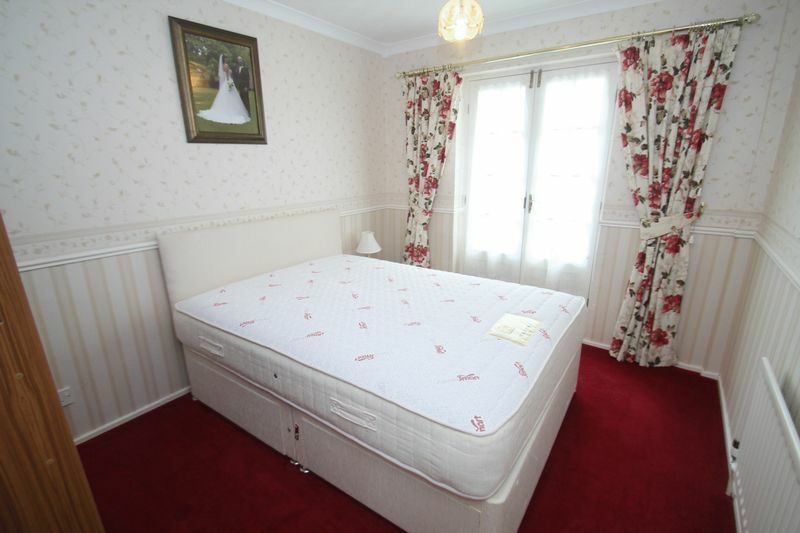 Range of fitted bedroom furniture including wardrobes, over bed storage, bedside drawers with display units, radiator, coved ceiling, window to conservatory. 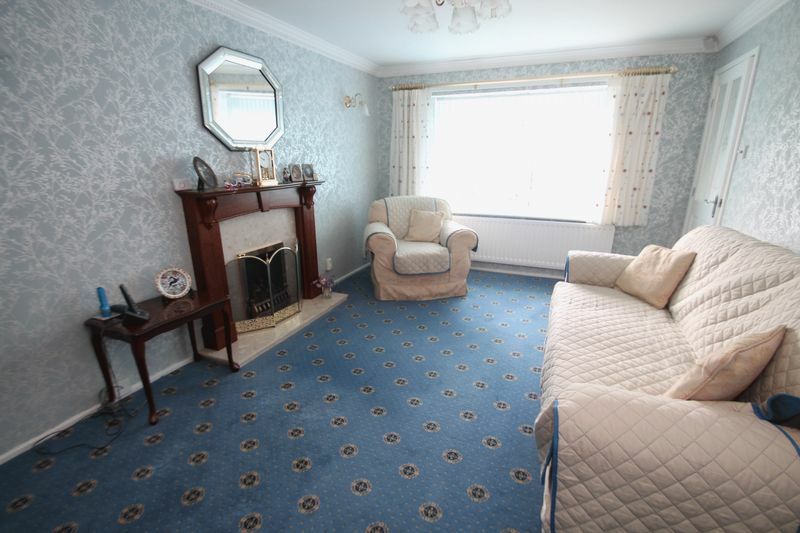 Radiator, coved ceiling, double doors leading into the conservatory. UPVC frame on dwarf wall construction, radiator, woodgrain effect laminate flooring, wall lights, French doors to garden. 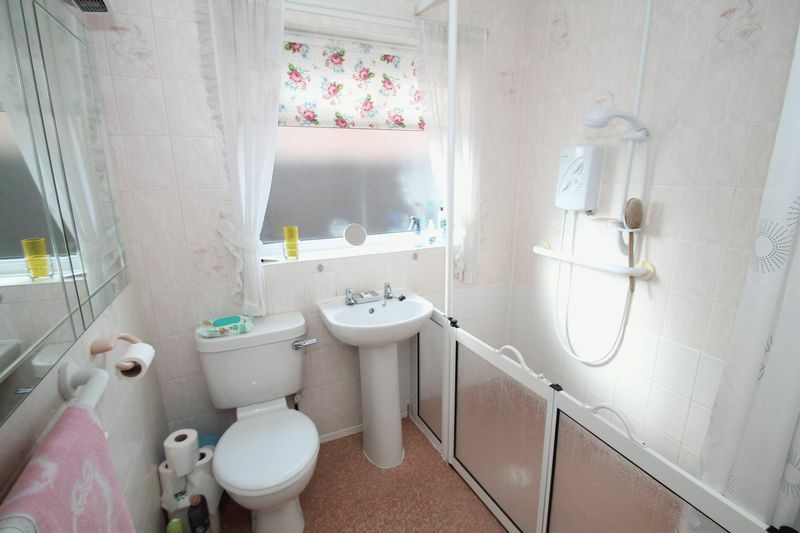 Wet room style shower room with easy access shower with non slip flooring, pedestal wash hand basin, close coupled w/c, radiator, tiled walls, window to side aspect. 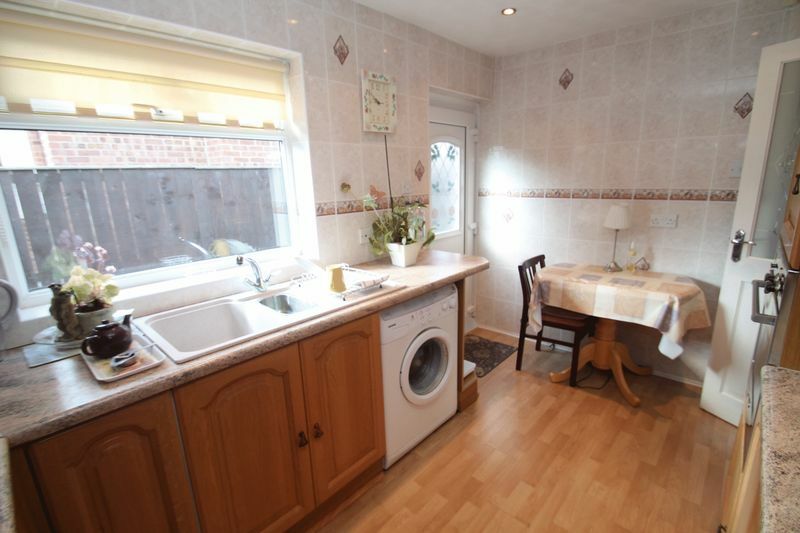 Situated on a good sized corner plot. 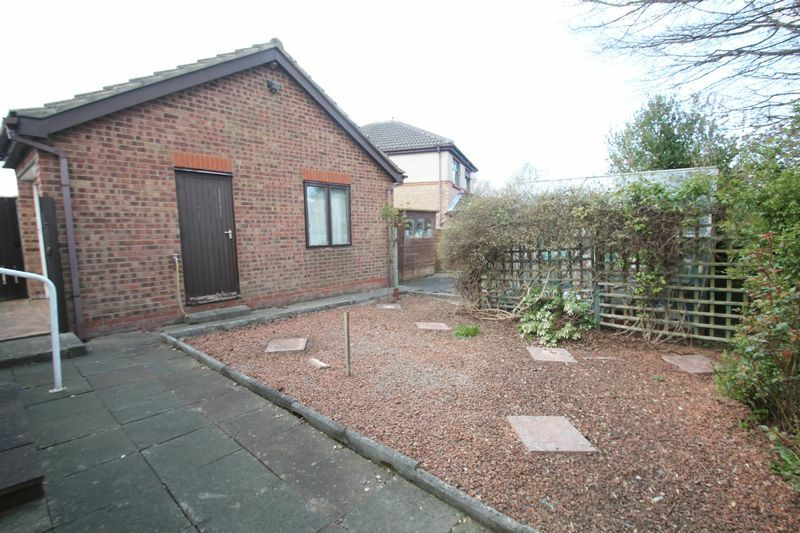 Front garden mainly laid to lawn with part block paved driveway with gates to garage. 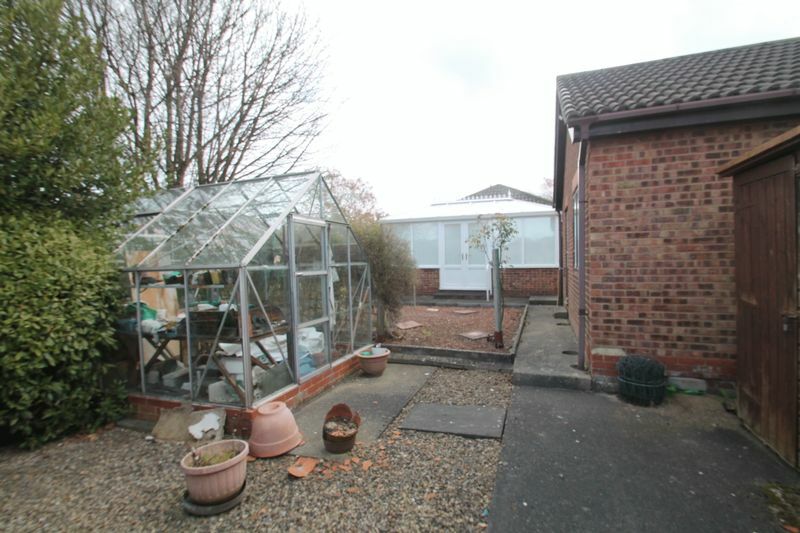 Low maintenance rear garden mainly pebbled with wooden store shed & greenhouse. Detached brick garage with remote control roller door, power & lighting, storage to roof space, side courtesy door, external water tap.